In preparation for the ISO 27001 Information Security Management System (ISMS) Certification, the PEAC National Secretariat ISMS core team will attend a series of trainings on the implementation of an ISMS that is aligned with ISO 27001:2013. This was kicked off by a seminar on ISMS Basic Awareness which was attended by the staff last June 26, 2018. Mr. Ted Ramirez, Principal Consultant from Pandora Lab, is the resource speaker. The training sessions will cover the development and implementation of an ISMS framework for the organization, ISMS implementation methodology, Information Security, ISO 27001, and ISMS risk management. 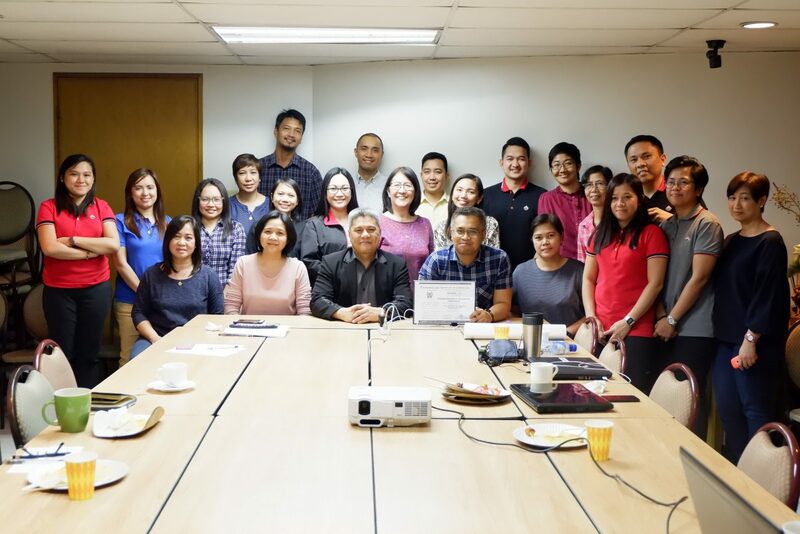 Aside from compliance with the Data Privacy Act or RA 10173, the PEAC aims to demonstrate information system capability to its clients as well as improve the information security of the organization.